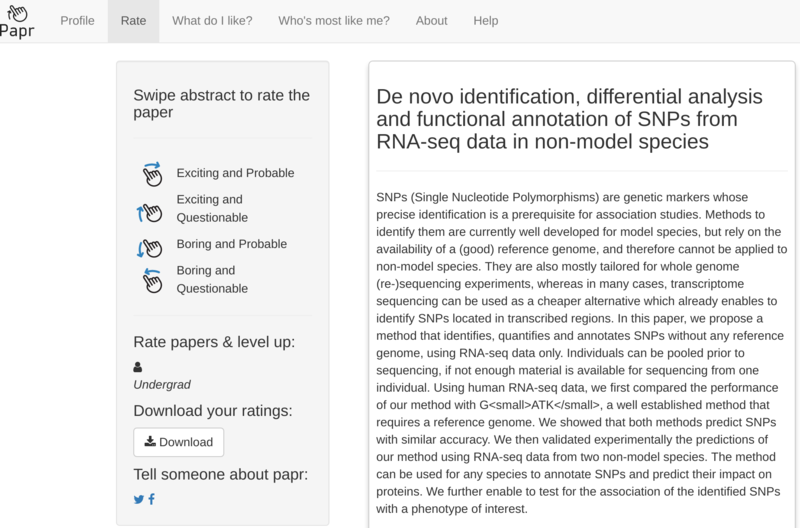 papr - rate papers on biorxiv in a single swipe and help science! Like a lot of modern scientists I now find papers to read to a large extent based on what I see on social media. It is a great way to find out what my colleagues are reading and keep up with the newest cool research. But now Lucy and Nick have added a recommendation engine that will learn from what you like and show you more papers that meet your personal tastes. But my favorite feature is that you can see other people who have liked similar papers and follow them on Twitter - so you can discover new scientists that work in your field! 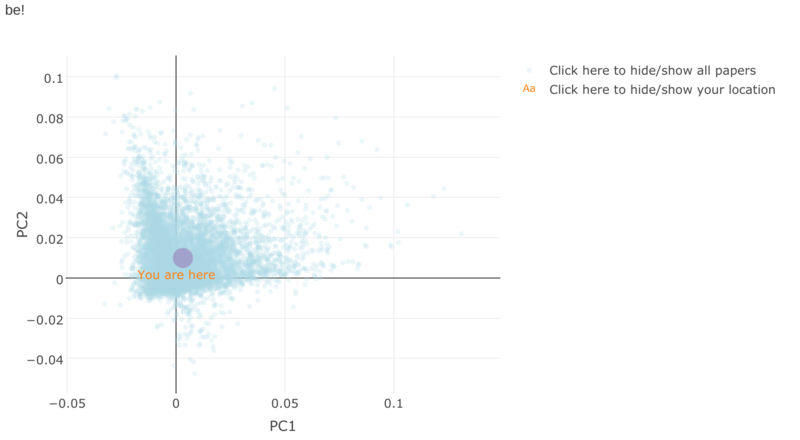 We hope to aggregate the data and get a community level view of what is going on biorxiv. Lucy and Nick have done an amazing job and I really hope that you will check it out and rate some papers, who knows you might find a new paper or Twitter friend!